1.) Print out the corn pattern here. 2.) Cut out the maize pattern. 3.) 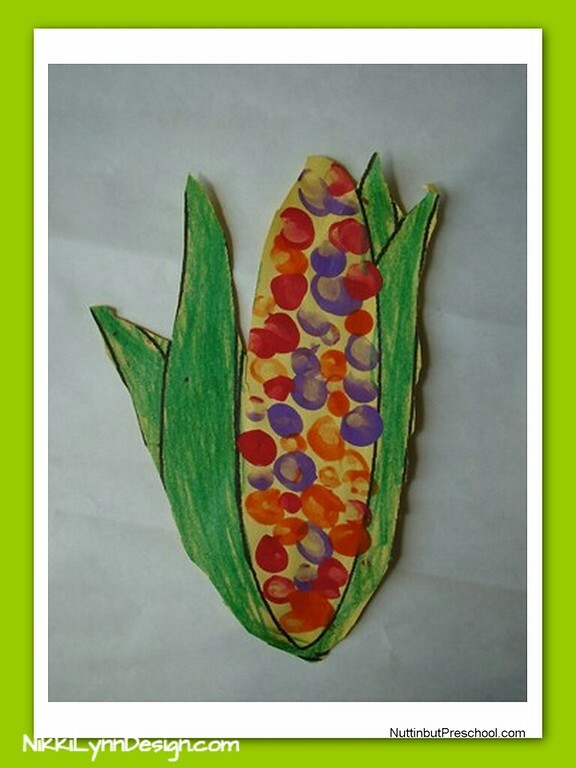 Have the children use their fingertips, Fruit Loops, pieces of tissue paper or corn kernels to embellish the pattern. That is it, a simple fall art project using items you should have around the school or your home.